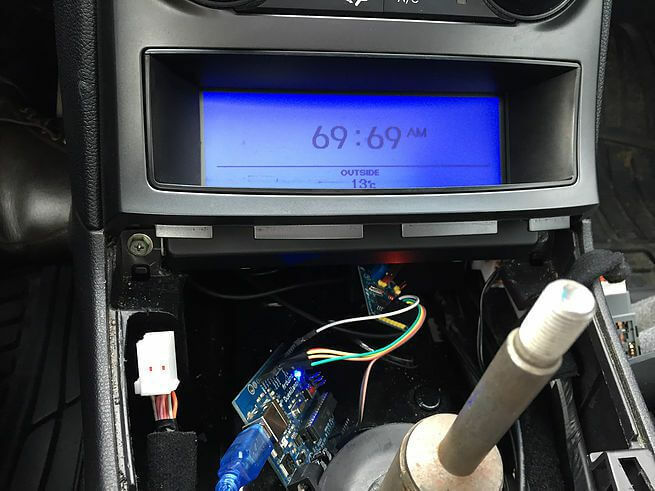 The Canadian mechanical engineering student hacked the dashboard display screen in his car, so it’s now displaying funny quotes from Reddit. Specifically, it’s displaying those weird “Shower Thoughts” — the headlines from Reddit’s forum for the brilliant one-off insights that pop into your head at random moments. And there is something truly inspiring about a man who dares to tinker with the software in his $20,000 Hyundai, just to make its dashboard show funny quotes from Reddit. So he re-routed the LCD’s input. And fortunately, Harin’s other Raspberry Pi board could accommodate a WiFi dongle. By using an iPhone for connectivity, it was now able to draw down the funny Reddit quotes. And Make: also reported that his next project may be to install a router directly into his car. Maybe once you start tinkering, it’s hard to stop. Now instead of seeing the external temperature on his display, he sees bits of mind-blowing amateur philosophy. But maybe it goes to show you that if you’re going someplace strange, your journey there can be just as unpredictable. 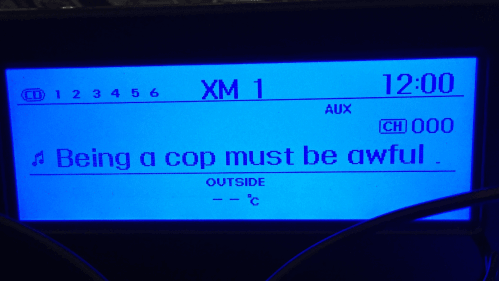 According to his blog post, the screen was originally intended for displaying song information (title and artist) for Sirius XM. IBM announces $5 million “Watson AI XPrize” competition. Amazon warehouses see “huge” improvement in shipping speeds — thanks to their new orange robot workers. Mattel releases a new “Game Developer Barbie” doll — and it sells out within a week. A returned home-security camera accidentally spies on the new buyer. Mark Zuckerberg, suspected lizard person, predictably denies being a lizard person.